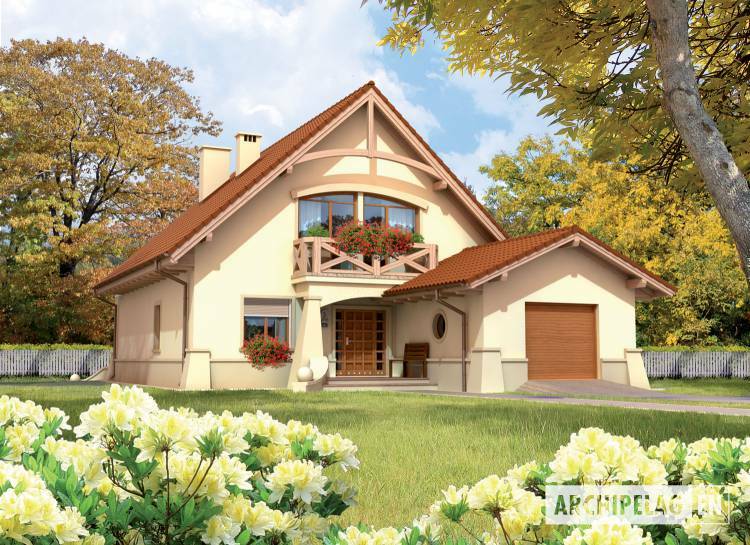 The house with functional attic, without basement, with built in 1car garage, intended for 5-6-person family. On the ground floor are study with bathroom, toilet, utility room and spacious daily room with fireplace and open kitchen. 3rooms, bedroom with wardrobe and big bathroom with balcony create functional in use attic. Facades finished with mineral plaster. Woodwork windows.